Our speaker in March will be Rita Venable, talking about butterflies. Click here for more information. 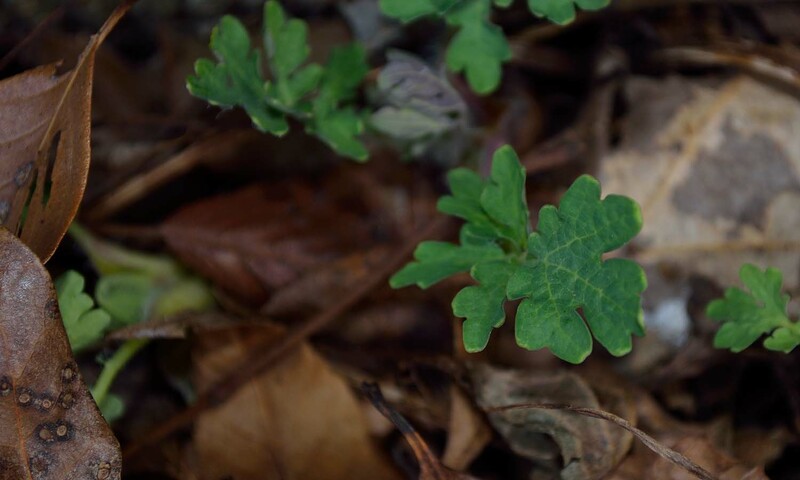 The woods poppies (Stylophorum diphyllum) that live on the north side of the house have emerged from the ground, but the leaf litter is still a challenge for their one inch of spring growth. Categories: Jennifer's Photos, Native Plant, Uncategorized | Permalink.